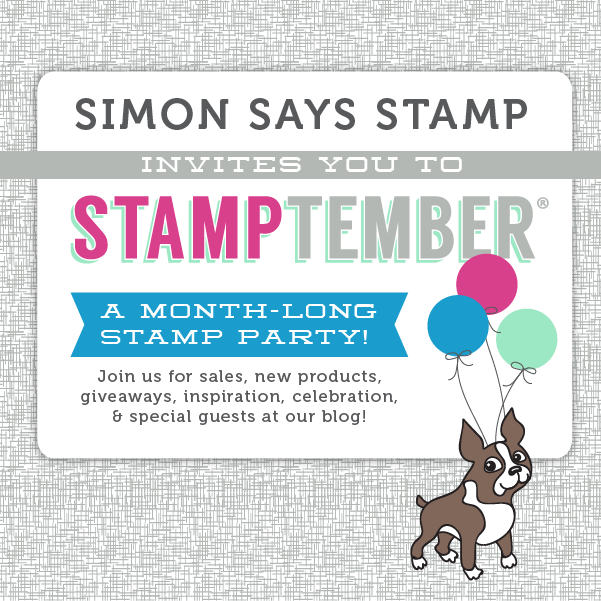 ...taking part in the festivities of Simon Says Stamp STAMPtember! Click HERE for the full reveal and all of the details. 1. What am I working on? I am currently working on Christmas creations using Penny Black's newest stamps and Creative Dies. I am in love with watercolor and am very much enjoying incorporating this technique into many of my samples. 2. How does my work differ from others of its genre? Hhhmmm... I'm not sure! Perhaps my love of color makes it unique?? 3. Why do I create what I do? I create what I do because it makes me HAPPY. I crave time to color, paint, and design and without it life is a bit boring! 4. How does your creative process work? I can say it rarely works the same way twice! I begin a project with some type of inspiration and then go from there. This inspiration may be a technique I am wanting to do, a type of medium I am wanting to work with, a particular stamp image that is calling my name, or even a color combo that I want to incorporate onto my card. Rarely do my projects turn out the way I originally thought they would in my head. And now I get to share a couple of people who inspire me! I could list sooo many but here are two. It's no secret I love Elizabeth's work...I'm honored to share this STUDIO with her. All of her creations are works of art and she truly thinks of EVERY detail. Every time I see something she has made I am oohhing and ahhing. To me, Judy embodies what stamping is all about. She shares her joys of stamping, encourages others, and makes beautiful stamped art. I am especially loving her Christmas cards this year and her use of Creative Dies within her projects. So with all that being said, big thanks to Catherine for the "tag" and thanks to Elizabeth and Judy for all of the inspiration!